What can fetter a mind? The battle between reason and imagination has been waged in Literature and Religion forever. Is your Mind fettered by Logic at the expense of Imagination? Or has the whirlwind of Imagination whisked you away from any semblance of Reason? There is a happy medium. The salvation of the bound mind, however grim it might seem, is that every single enslaved person has the power to free themselves. Using the icepick of Reason, perhaps…but not always. Sometimes the freedom comes as a revelation or a flash of insight: what I call an “aha” moment. Many of you may have experienced this “aha” in math class. Most commonly Algebra or Calculus where it is all unintelligible and you are about to pull hair and scream, then suddenly all the numbers line up and make sense. This happened to me, too. I had struggled with Calculus for two terms, scraping a C- each time until one afternoon, when checking the single problem that was my homework, it all made sense. It DID feel like a lightning bolt, or that someone had turned on the lights! A wave of euphoria accompanied this brain event. I knew how much water was leaking from that damned cylinder, and exactly how long it would take to fill up that other cylinder…and why! LOL… That day, I could read numbers like words and the numbers told a story as words do. Sadly I was not able to retain this ability but I think that makes the event even more special. If feels like I had a brief glimpse into the world of science, which uses a completely different language. A closed mind, one that has stopped learning and experiencing, is a fettered mind. The decision to stop is uniquely yours. No priest or teacher or parent has the right to hold up their hand and sentence you to mediocrity. That is the first fetter that must be broken: the belief that someone else knows what is best for you. Once that manacle has been opened, it is up to you to use that free hand to wield the icepick and pop off the others. This litany in the science fiction classic, Dune, struck me as particularly powerful when I read it the first time as a teenager. 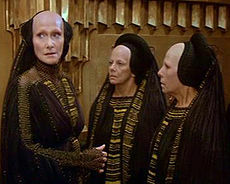 The Bene Gesserit are like the Jedi (in fact, a great deal of Star Wars is lifted from Dune), but female. Thinking about Fear leads to profound connections concerning human behavior. A great deal, if not all, negative behavior is directly related to Fear. Fear of injury, fear of death, fear of the “other”, fear of failure, fear of loss of social position, fear of grief, fear of suffering…go ahead and try it yourself. Think of something unpleasant and see what motivated the event. War? Assault? Murder? Even if you ascribe Greed to the motivation behind evil, you will find fear of poverty or fear of social decline to be a motivator. What use has a Buddhist monk for money? He will not rob you or murder you for gain. A yogi? You will not find him crashing a glass window to steal a television. Without any real Fear, the mind is free to roam. Fear binds the mind to the ground, forces the eyes to focus on the immediate and raises physical and social concerns above all others. To achieve any kind of real understanding one must release the Fear that Fetters the Mind. Think about what you fear, ask yourself why you fear it, imagine what might happen if your greatest fear “came true” and move past that idea to the next thing: then what? Many motivational speakers have talked, many authors have written books and many psychologists have put their kids through college dealing with Fear and the mind-killing effects on people of all classes and cultures. Even with all the Self-Help, folks MUST face their fears themselves. Why face a fear at all? Why not learn to live with it, or ignore it, or hide…why should the effort be made anyway? Truth is, you don’t. Many people don’t. Some folks think it is foolish to try. Some incorporate Fear into their lives willingly and with pride. 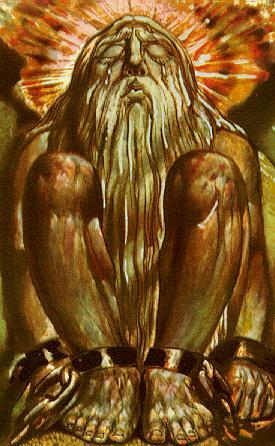 Many religions teach their adherents to Fear God. This kind of Fear is considered justified and the mark of a good citizen. Of course, many humans confuse Fear with Respect. If you Fear something (or someone) that means you Respect them. I am thinking of the Gangsta concept of Respect at the end of a gun barrel. Can you force Respect from Fear? These are Ideas that need to be addressed before you move on to the next level. And that is the real key. Only if you are curious and want to see what’s next can you be motivated enough to try…realize that banishing that Fear is the first step. The rewards will be worth the effort.